Photo N Blair A rather attractive introduced plant. Is listed as an environmental weed in Victoria. 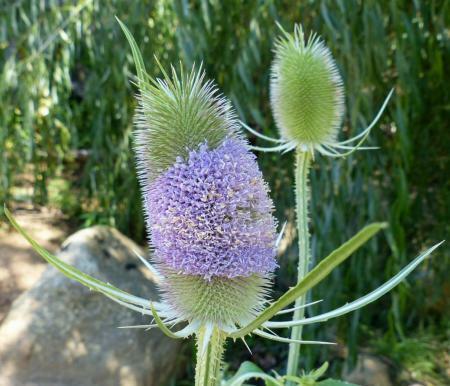 Can grow to two metres tall and has a large basal rosette which shades out other ground dwelling plants.